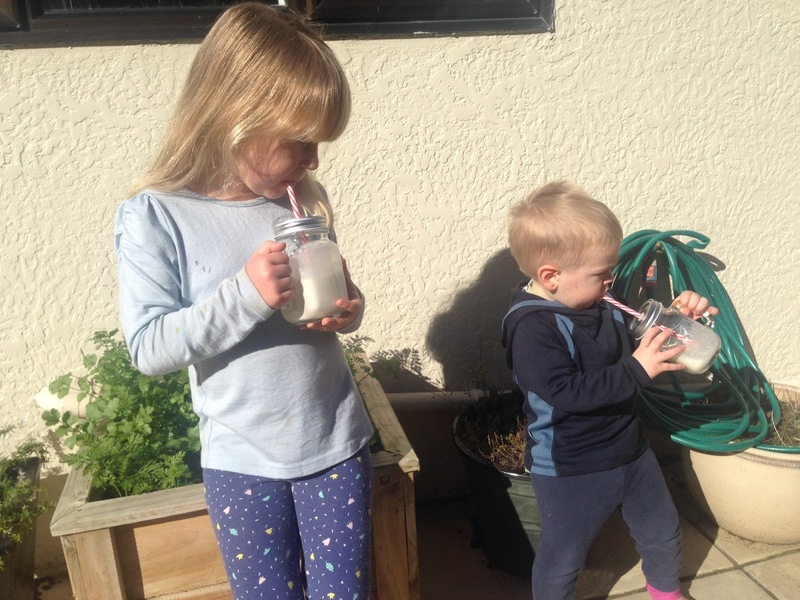 This vanilla smoothie is my childrens' absolute favourite flavour. They request it nine times out of ten and always guzzle it down. It's really a banana smoothie with vanilla flavours, but if I call it banana, my kids don't want it as much. I like to make a big amount so all three kids all have a full cup, and I can use the leftovers to make ice blocks and smoothie pouches in these nifty Kai Carriers for lunch box fillers. Cut bananas into thirds and place in a blender with all the other ingredients. Whiz on high speed until smooth.